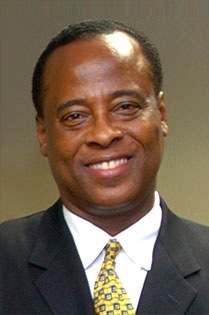 Police investigating Michael Jackson’s death are closing in on Dr Conrad Murray, the man they believe is responsible. Police and DEA agents searched Murray’s Las Vegas home and office mere days after law enforcement scoured his Houston medical center. Authorities are seeking any and all medical records pertaining to Jackson, especially details on drugs Murray prescribed to the singer. Complicating the investigation is the fact that Jackson used literally dozens of aliases for his prescriptions, including “Josephine Baker” and the name of his oldest son Prince. Murray himself fell asleep while he was supposed to be monitoring Jackson, and when he awoke, Jackson was already dead. Bolstering this theory is the fact that Murray called his Houston office around 9 a.m., after which two of his receptionists were seen removing boxes of documents from a company storage facility. That was three hours before EMTs were called to Jackson’s home — and the boxes, as yet unfound, are suspected of containing incriminating records. Murray called young Prince into the room so there would be a witness to his “resuscitation” efforts. bigger rush to get him to an ER. Cops also found drugs hidden in the closet of Murray’s guest room in Jackson’s home. Looks like Dr Murray could soon face manslaughter charges, at the least.